Welcome to Grand Rapids Fencing Academy, home to West Michigan’s finest fencing instruction. Under the direction of co-owners Mikhail and Arkadiy Sarkisov, accredited Masters of Fencing, GRAFA offers fencing programs for all ages, from beginner to advanced. 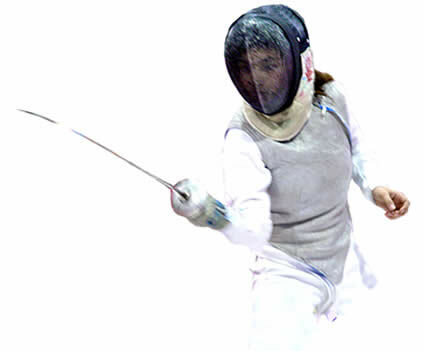 Our academy provides both the competitive and the recreational fencer a facility where they can develop their skills to their greatest potential through the active implementation of world-class training programs, competitions, and team sport. It is our mission to develop each fencer to his or her ability and to promote the sportsmanship, passion, and camaraderie of fencing within the West Michigan community. Congratulations to Skylar Pitcher for making Latvian Cadets & Junior National team for World Championship in Poland! 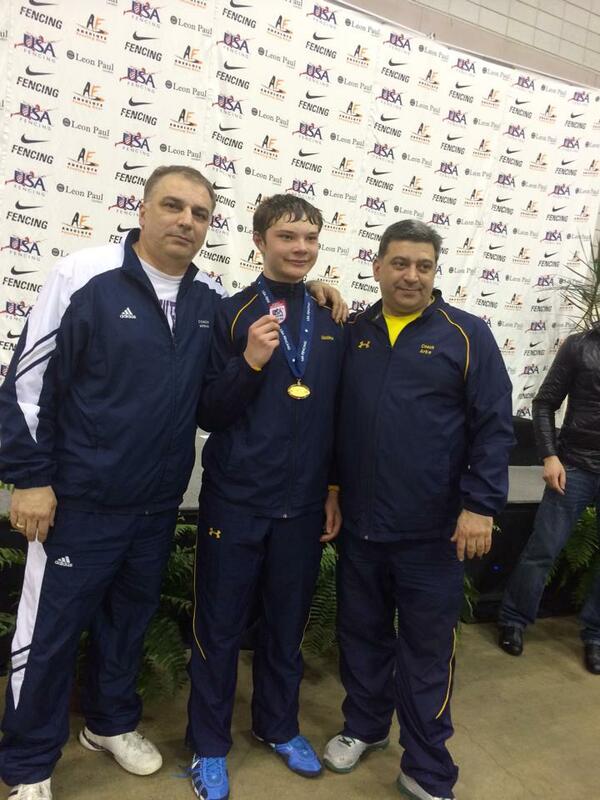 Congratulations to GRAFA Senior Mens Foil team for taking bronze medal at North American Cup in Cincinnati, OH! 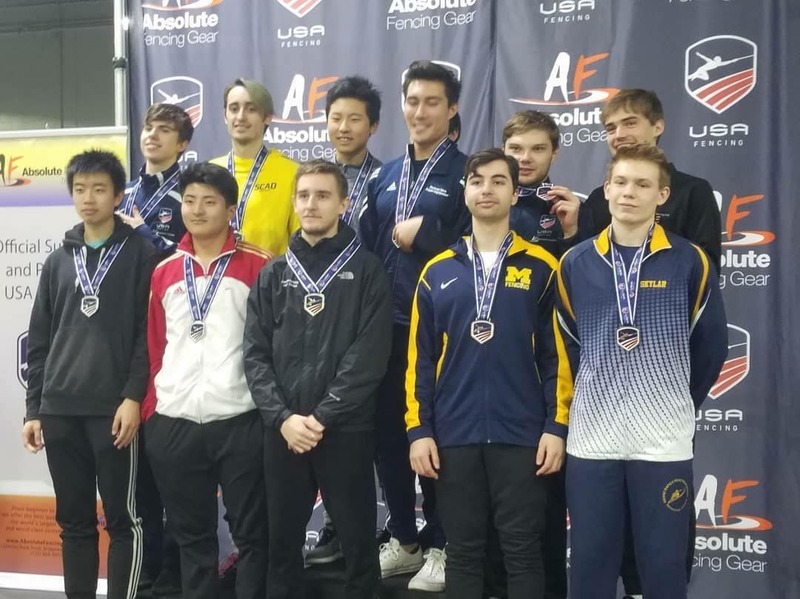 Congratulations to GRAFA’s not so senior by age, Senior Men’s Foil team ( Michael Mauer (Cornell University), Michael Soukar (University Of Michigan), Skylar Pitcher and Max DeBack (still high school seniors) for taking Bronze medal at North American Cup in Cincinnati, OH! All of the necessary equipment for the beginning classes is provided at no additional cost. Please email GRAFA for the details. 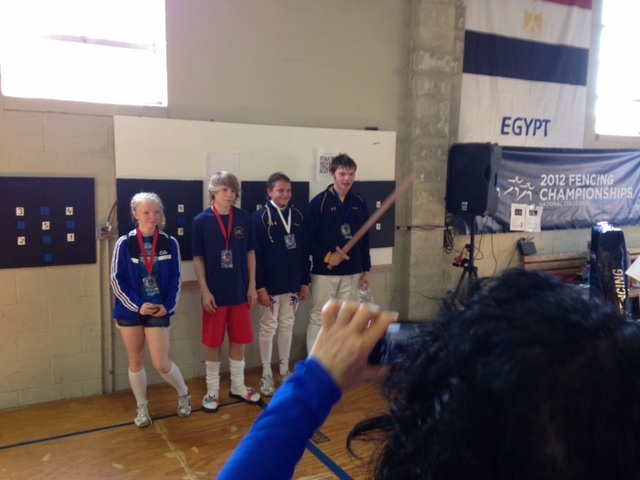 Congratulations to all GRAFA fencers, who competed past weekend at Michigan Youth Championship in Detroit! 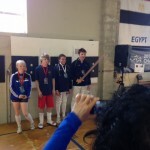 GRAFA fencers earned Championhip titles in every event they competed. Congratulation to our GRAFA II amazing girls team: Ana Novoseltsena, Greta DeBack, Kassie Moore and Jo Conway for taking Bronze medals at NAC in Memphis in Y10 foil competition!!! We are all so proud of you! You girls are amazing!!! 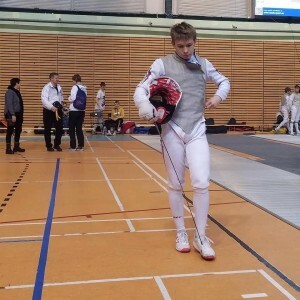 Congratulation to Max DeBack becoming National Champion in Y12 men’s foil competition. Great job Max. You fought very hard. This is will deserved victory!!! 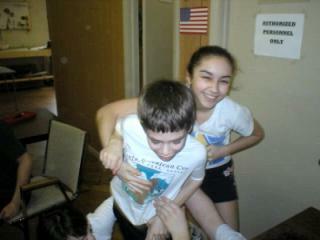 That is how GRAFA fencers roll!! Congratulations to all! Results from this weekends SYC in St Louis! 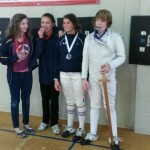 Congratulation to ALL our fencers who competed at the SYC in St Louis this past weekend! Great work everyone!!! We are so proud of you all! Dayana Sarkisova becomes first Wildcat foilist to garner first-team All-American honors. Schiller’s squad has finished among the nation’s top-10. Wildcat, matching Katie Rudkin’s third-place result in the epée in 2002. She also became the first fencer in West Michigan to medal in a NCAA Championship tournament. In recognition of this awesome accomplishment Dayana has been named “Athlete of the Week” at Northwestern University. Grand Rapids, Mich., February 1, 2011 – Northwestern sophomore women’s foilist Dayana Sarkisova (Grand Rapids, Mich.) and Notre Dame senior men’s sabreist Avery Zuck (Beaverton, Ore.) have been named national fencers of the week for Feb. 21-28, 2011, as presented by CollegeFencing360.com (CF360). Sarkisova and Zuck headline the CF360 Primetime Performers of the Week, a group of 13 honorees which also includes the inaugural College Fencing Rookies of the Week – Penn freshman men’s epeeist Clifford Fishler (Great Neck, N.Y.) and Ohio State freshman women’s foilist Katarzyna Dabrowa (Wroclaw, Poland) – along with nine other fencers who excelled on a high level during the past week of action. • In general, preference is given based on the quality of the opponent and situational factors involved in the fencer’s accomplishments. • Exhibited strong leadership and/or involved in clutch performances, such as match-winning bouts, noteworthy upsets, etc. • Overcame adversity or extreme circumstances (for the team and/or individual). • Bonus consideration is given for key performances away from team’s home facility. The mission of the GRAFA is to develop each fencer to his or her ability and to promote the sportsmanship, passion, and camaraderie of fencing within the West Michigan community. The mission of the West Michigan Sports Commission is to promote Michigan’s West Coast as the premier venue for hosting a diverse level of youth and amateur sporting events, enhancing the economy and quality of life in the region. Grand Rapids Fencing Academy (GRAFA), located close to the Grand River on the NW side of Grand Rapids, is proud to announce and invite you to attend its 3rd annual Grand Rapids Youth Fencing Cup. 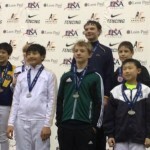 Fencers from all over the Midwest gather to compete and earn medals at this anticipated event. Chicago, Indiana and Ohio are some of the neighboring states that have fencers travel to Grand Rapids on this day. This tournament has been a milestone for many fencers who have gone on to compete successfully at the State and National level. It is a chance for fencers to improve their ranks and sharpen their skills because of the number and caliber of fencers who gather to compete. Events are held for Youth 10, Youth 12 and Youth 14.GRAFA is home to a club of fencers who are of all ages, abilities and backgrounds. It offers classes and private lessons in foil and epee along with opportunity to compete at the local, state and national level. The first thing you’ll notice when you walk into GRAFA is the instantaneous hospitality of the staff, coaches and fencers. As one parent put it, “When I left after my first visit to the Academy, I thought that this was a place I felt comfortable bringing our daughter. The atmosphere and level of professionalism felt healthy.” GRAFA prides itself on giving its best instruction to all of its students at all levels. No matter what your sport, if you are curious to learn more about the of fencing, if you are looking for something new to discover please stop by our tournament or any other time of the year and meet the coaches and staff. Top Eight Fencers in each event will be awarded trophies and medals. As this became our tradition, Top Three Fencers in each event will be awarded the prizes and Top Eight Fencers in each event will be awarded our collectable Grand Rapids Youth Cup Sweatshirts. At registration, each participant will receive our collectable third pin in the Youth Cup Series to add to their collection. Look who is in Chicago Tribune!!! Dayana Sarkisova’s family narrative is a microcosm of the cataclysmic changes and chaos that accompanied the eventual dissolution of the Soviet Union two decades ago. Alexa Prasher becomes the youngest finalist in Div. III North American Cup in Cincinnati !!! Congratulation to ALexa Prasher on taking 8 th place in NAC in Cincinnati. In the field of 87 fencers Alexa fought very hard, making finals and taking 8 th place. She became the youngest finalist of the event. Great job Alexa!!! 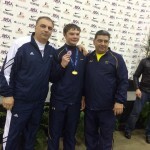 Zach Moore – Division III Foil National Champion !!! Congratulation to Zach Moore on becoming Div. III Foil National Champion. 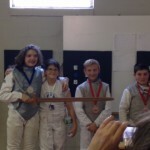 Zach competed in the field of 124 fencers from around US. Congratulation to all GRAFA fencers who competed in NAC in Cincinnati, OH. We are all extremely proud of all of you representing GRAFA and Grand Rapids at the National Championships. Congratulation to GRAFA Meijer 2012 Michigan State Games! 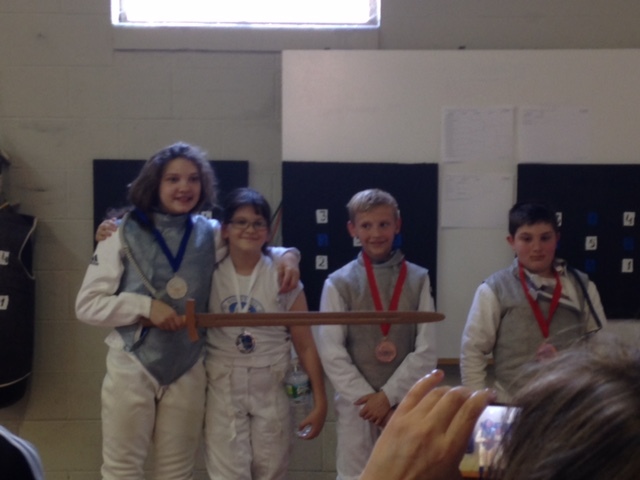 GRAFA fencers earned 3 Championships in all 3 Youth events. Congratulation to GRAFA Meijer Michigan State Games! Youth 10 – Max DeBack 1 st place, Greta DeBack – 2nd, Henry Ripple – 4 th!!! 12 – Max DeBack – 1 st place, Justine Banbury – 3 rd place. Youth 14 – Alexa Prasher – 1st place, Justine Banbury – 3rd place! 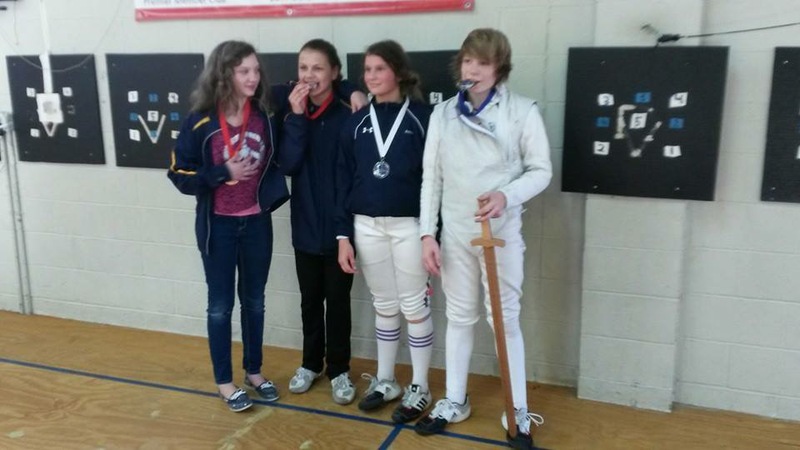 GRAFA fencers earned 3 Championships in all 3 Youth events. Great job kids! Good luck at Summer Nationals!!! 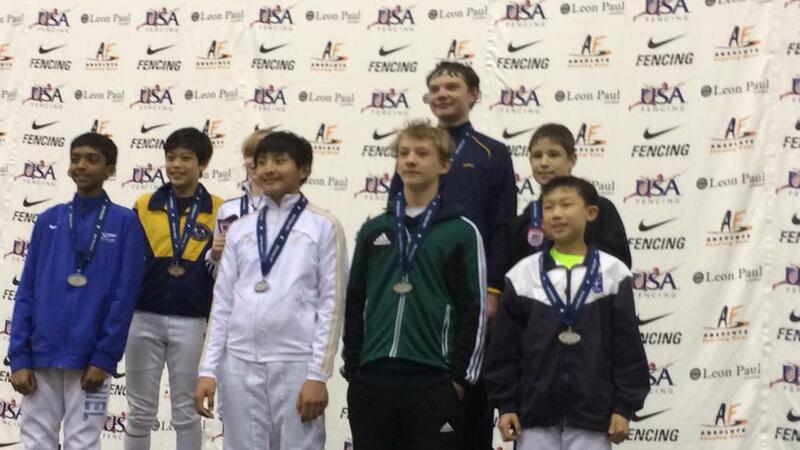 Congratulations to Max DeBack for taking FIRST PLACE in 12 and under at the Arnold Fencing Classic in Columbus, Ohio! Well done, Max! Closed the week of Christmas and July 4th.